Digital, live, media, rankings, future: here’s all you need to know about the Greek music industry. Greece remains a country where national culture is a highly contested cultural topic. Balancing between traditional and new music media, the country is also burdened by taxes that, among many other side-effects, cause concert ticket prices to rise and album sales to decrease. Here’s all you need to know about the current state of the Greek music industry. Smartphones are steadily replacing computers as the most used device for music consumption, and subscribers of paid audio streaming services are most likely to listen to music on their smartphone. Furthermore, when looking at the usage of devices for different music services, those who listen to music via paid streaming services are more likely to be doing so via a smartphone. The offline usage functionality of paid audio streaming services is potentially an important factor. Young people are highly engaged with music, with 80 % of 13- to 15-year-olds listening to licensed music. YouTube is the most used music service, followed by Spotify and Deezer. In particular, 80 % of all YouTube visitors use it for music, and 82 % of all Greek internet users visit YouTube at least once a month. 30 % of internet users aged 25 to 44 years say they watch online video via Google more often that they watch TV. Free video streaming is mainly used as an alternative to paying for music. According to IFPI 2016, data consumers in Greece are increasingly turning to online streaming services and video platforms to listen to music. Nearly half (49 %) of video music streamers do so mainly “because it’s free”, with only 20 % doing so in order to “sample before buying”. In studying the effect of the internet and related technologies on the music industry, one comes to two distinct conclusions. On one hand, consumers of digital music are much clearer both on what they want and how to get it and on the realities of the new technologies. They seem to agree on the need to get music products at (much) lower prices. Technology is moving forward fast, and new media and music formats have been created to utilize it. Music professionals know this and are trying to take the necessary steps to make the technology work to their benefit. It’s common knowledge that the emerging technology has transformed almost every aspect of music – from the devices themselves to the way fans connect with them. But as this transformation continues, a timeless trend abides: live shows seem to have regained their importance. For the music industry, the renewed focus on concerts stems largely from the gap between digital consumption and lost revenues. Young people, aged between 15 and 18 years, who have gone to at least one concert and/or festival in the past year, spend 50 % of their average expenses on live events (i.e. concerts, festivals, live acts at small venues). Notably, live attendees spend about an average of three hours at a single live music concert or an outdoor community event. Where consumers first become aware of upcoming shows varies significantly according to the type of event. Social media is the biggest driver of music festival awareness, followed by word of mouth and, lastly, radio. Of course, in these dark times of financial crisis, where brands are desperately trying to turn a profit, understanding how fans first hear about an event is extremely important when looking to maximize the media impact of sponsorships at these events. Not surprisingly, the type of music plays a key role in consumers’ purchasing decisions: 80 % of concertgoers say that genre is an important factor when it comes to choosing which live music events to attend. The large base of dedicated concertgoers, plus additional consumers who are aware of shows but don’t attend them, has put live music events squarely in the mainstream. 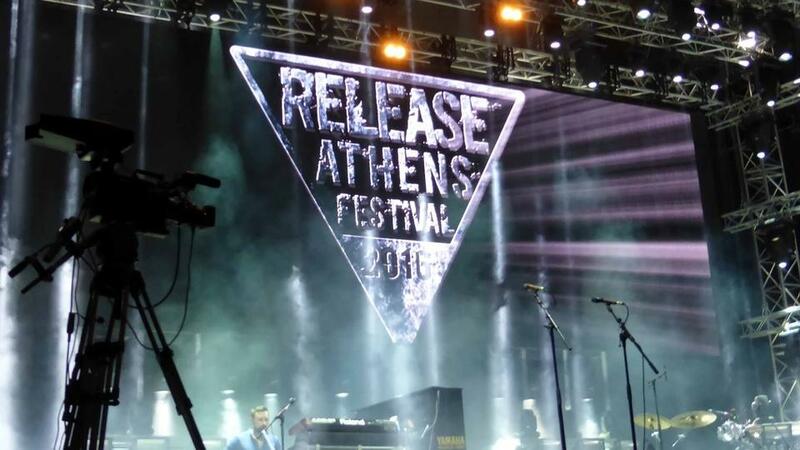 Almost 85 % of live event attendees in Greece are aware of big festivals, such as Rockwave, Eject and Release Athens, and 40 % are aware of smaller ones, such as Up Festival in Koufonisia and Sani Festival in Halkidiki. While the in-person experience is what sets live music apart, digital platforms still play a vital role in building enthusiasm. For example, 28 % of live attendees who are unable to attend live events say they follow along on social media, 20 % say they read the comments on social media, and 30 % text their friends who are in attendance. In addition, 35 % of live music attendees say they check artists’ websites and social media accounts after events to share pictures and comments. TOO MANY TAXES (AND ONE BIG SCANDAL)! What’s unexpected, even surprising, is the series of taxes, payments and fees imposed on services in Greece. Compared to the productivity of the country, the additional tax burden increases prices and further reduces the competitiveness of the local economy. Concerts and other cultural events, such as theatre and cinema, are particularly expensive, with the VAT rates ranging from 17 to 24 % in 2016, because of the special tax on public events, which is paid in addition to the VAT on the ticket. The taxes that were typically included in the face value of a concert ticket in 2016 were: 24 % VAT (23 % before July), 7 % for AEPI – the Hellenic Society for the Protection of Intellectual Property, almost 3 % for the ticketing, and 6 to 10 % for the venue rent. Once you add the advertising costs and the touring expenses, almost 80 % of the ticket revenue is lost even before the concert begins! On top of that, AEPI (which is a private company) charges an additional fee for concerts and other events, the sum of which should be directed to performers. After a consultation with local and foreign performers, it became clear that very few respondents have received any money from AEPI. The Greek authorities investigated the matter, and in early February 2017, it was revealed that the company not only wasn’t paying out the fines it had collected to the lawful recipients, but that the CEO’s monthly salary was an astonishing 52.000 €. AEPI represents 14.540 Greek artists and around 2.200.000 foreign artists via representation contracts, and it hadn’t been paying out any money to the beneficiaries this whole time. The company had agreed to withhold 10 % of the rights and the fines it was collecting, which were supposed to go for cultural purposes and charity, but that never happened. The case is currently under investigation. In recent years, traditional media have been struggling to survive, both in economic terms and regarding safeguarding their role in the country’s music industry. Radio is still an important source of information and entertainment in Greece. Currently, around 1.058 radio stations broadcast regularly. The vast majority are private-owned and transmit locally or regionally. Multicultural radio is also developing fast, due to the cultural diversity that characterizes Greek society following the influx of immigrants. While the number of Greek people that listen to AM/FM radio has shrunk marginally over the past decade, it has also remained firmly above the 50 % threshold – which is a good level, considering the alternatives (mp3s, streaming music services) that have emerged over that period. In 2016, Melodia FM was the leading music station, followed by Rythmos, Red FM and Athens DeeJay. Local folk music, combined with international hits, continues to trounce the most comparable radio stations – both satellite and online radio – in terms of its share of listening hours. This is arguably best explained by the fact that most listening takes place in the car (65 %), where old-fashioned AM/FM radio still reigns supreme, according to 2016 data by pollster Kapa Research. The radio’s share of the advertising market since 2015 has remained fairly stable at about 10 %, in contrast to the sharp decrease experienced by other legacy media segments, such as newspapers and magazines. As for the music press in Greece, there are nine music magazines (covering a broad array of music, such as traditional, pop rock and hard rock), with Sonik and Metal Hammer being the leading print music magazines. Avopolis Music Network is the first online music portal in Greece, with over 360.000 unique visitors per month and over 2.100.000 pageviews per month, according to Demographics Nielsen. In television, MAD TV is the first TV network in Greece that broadcasts music-related programming, including videos, music news and interviews, as well as concert footage. 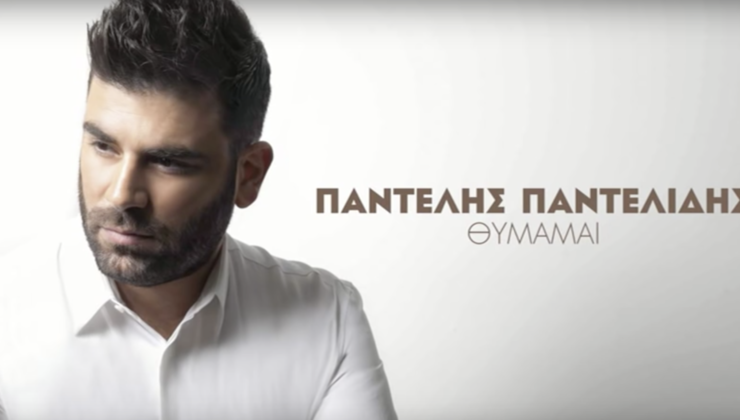 According to the official IFPI Greek Chart for 2016, late folk singer’s Pantelis Pantelidi’s last song, ‘Thimamai’, which he wrote before his sudden death in February 2016, has topped the most-listened-to and most-downloaded charts since its release. In fact, the YouTube video surpassed 16.000.000 views in a mere two months. After his death, two of his songs reached the number one spot on the Billboard Greece Digital Songs chart. 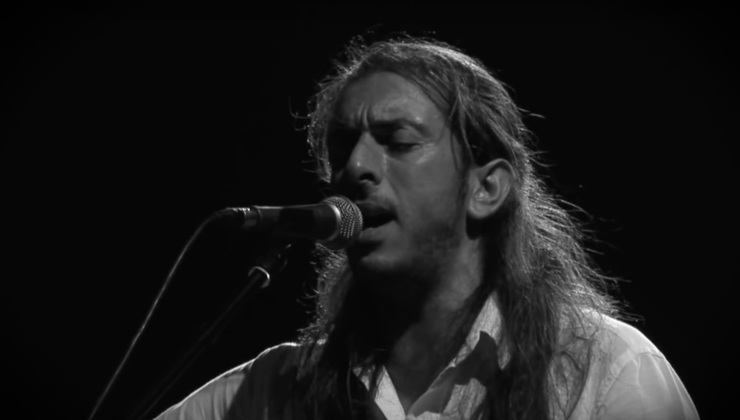 Behind him is Giannis Haroulis, who has become one of the most successful artists in Greece: a passionate interpreter, he combines Cretan and Middle Eastern influences, rock and improvisation. He performs about 100 shows per year, at venues ranging from 8.000 capacity theatres to smaller clubs. His three sold-out concerts at the Petra Theatre in Athens were the most successful summer gigs of 2016, with more than 20.000 tickets sold – almost as much as the Release Athens Festival featuring PJ Harvey and Sigur Rós, among others! As for the international repertoire, LP’s ‘Lost on You’ was an instant hit in Greece in 2016, with Laura Pergolizzi awarded a platinum sales plaque celebrating the runaway success of her song. 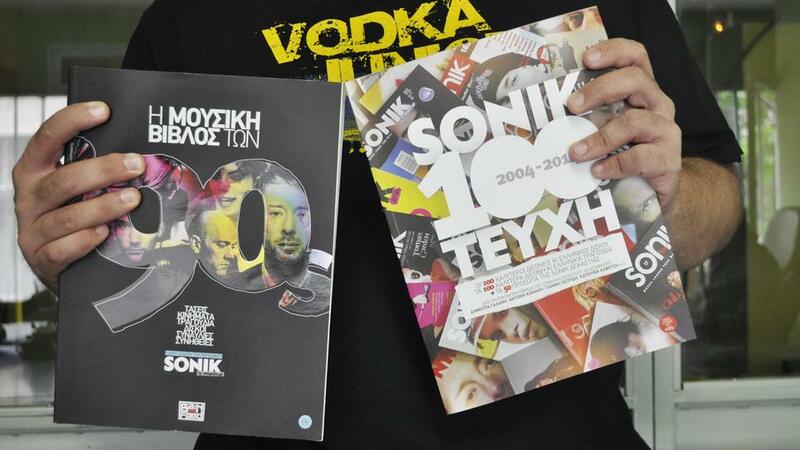 The award preceded sold out concerts at Athens’ 4.000-person Technopolis venue and at Principal Club Theatre’s 2.000-person venue in Thessaloniki, Greece’s second largest city. Music industry in Greece suffers from economic problems that plague all the companies involved and mean they end up downsizing, which leaves capable executives out of a job. Most of these people created their own companies, especially in management, selling their knowledge about promotion services to artists. Some record labels, especially independent ones, turned from sales to organizing concerts and live events, continuing to function as a channel for alternative content to the rest of the music industry. Specifically, because they target particular genres of music (e.g. indie pop, metal), niche markets and/or distinctive individual artists, independent labels cultivate cultural difference. Let’s not forget that Greece remains a country where national identity and national culture are highly contested political and cultural topics. Recent data about Greek consumer attitudes by the country’s Statistical Authority ELSTAT shows that consumers have been incredibly affected by the financial crisis, and that they tend to spend less than before. Within this environment of uncertainty, concerns have been raised that the figures in the consumption of music products will decrease in the near future. However, despite the fragmented landscape, there’s no doubt that music remains a vital part of Greece’s entertainment menu. There’s a paradoxical phenomenon in the behaviour of Greek consumers, as most people tend not to buy music products, but are quite willing to pay a lot of money to see a live performance. 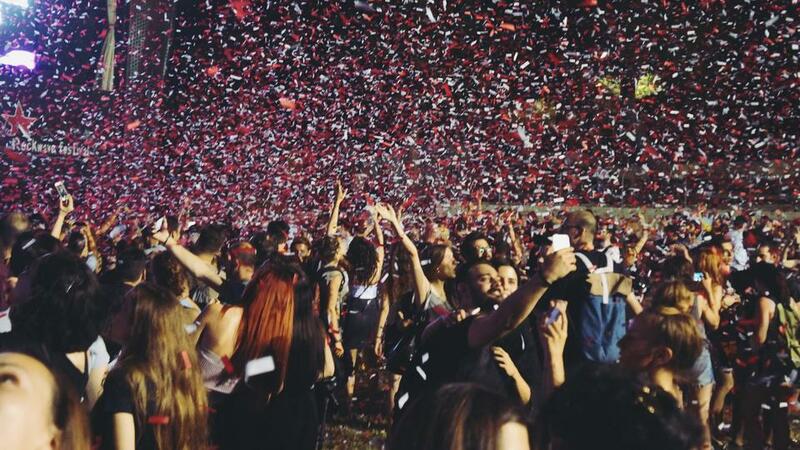 The music consumption has drastically changed in Greece, as well as everywhere else. Consumers will continue exploring digital channels, but vinyl, which now accounts for 6 % of the physical album sales in Greece, is poised to grow, as long as labels and artists create unique offers. However, it’s not only a matter of physical and digital. For example, rock remains the dominant genre for album sales, while pop stands out on a track-by-track basis. So as with achieving success in any market, winning in 2017 and beyond will hinge on having clear insight into what consumers are looking for – and finding ways to deliver.